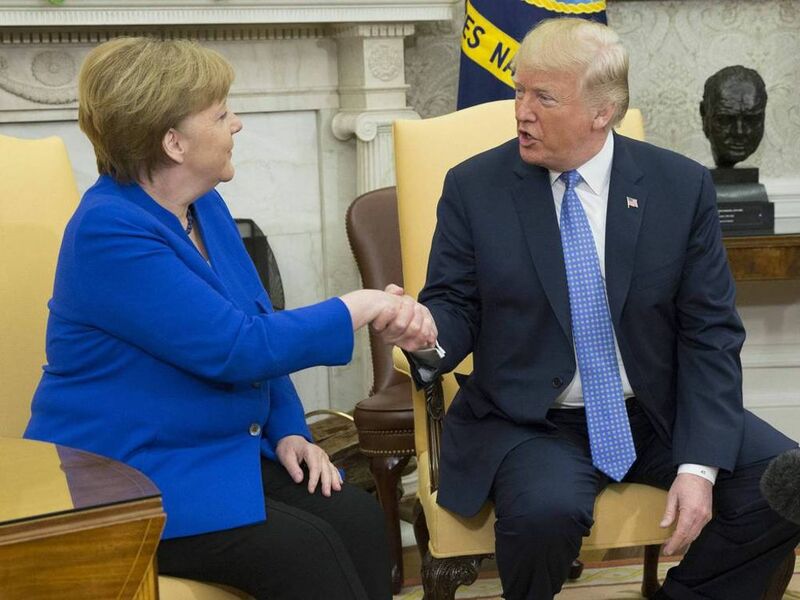 German Chancellor Angela Merkel (left) made the stunning insinuation after meetings in Europe with US President Donald Trump (right) that he is not a reliable partner on which Germany and the Continent can depend. 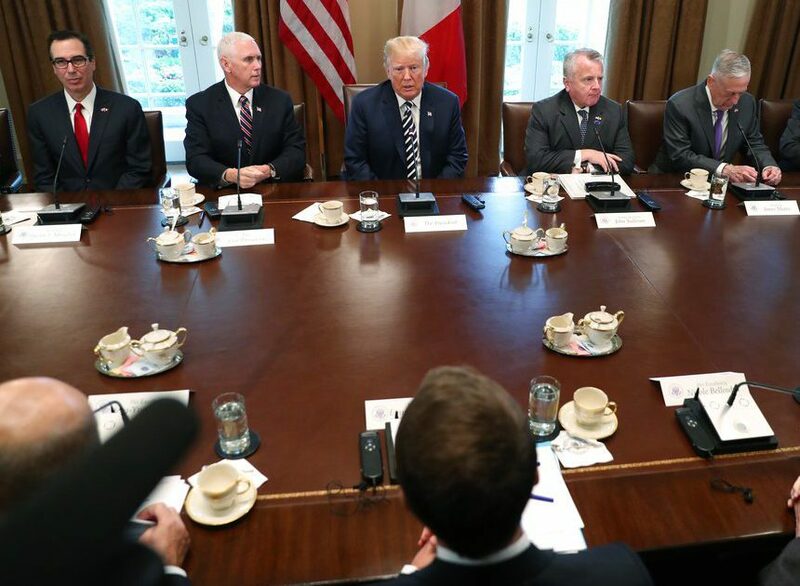 Months before, Trump’s cabinet members travelled to Europe and stress he is behind Europe and NATO and committed to Article 5, which requires all members to come to the defense of any country in the alliance that is attacked. When it comes to the trans-Atlantic relationship and NATO, any claim that the US cannot be counted upon is fallacious. 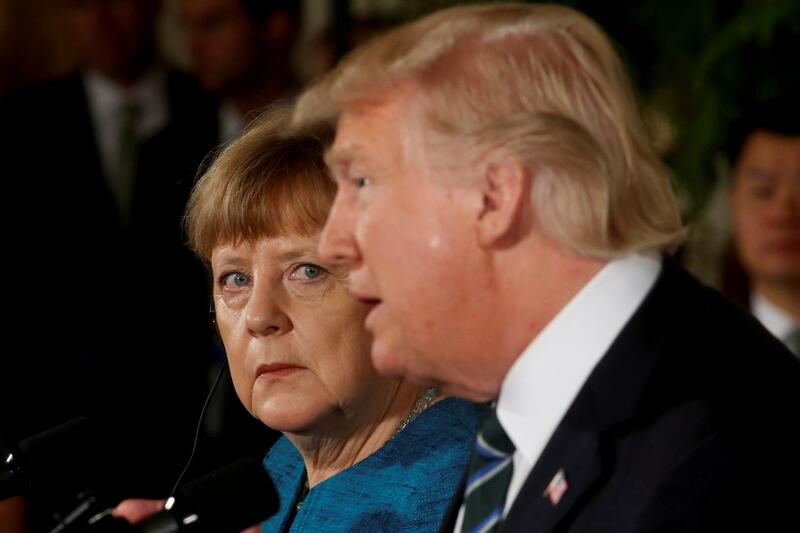 According to a May 28, 2017 New York Times article entitled, “Merkel, After Discordant G-7 Meeting, Is Looking Past Trump,” German Chancellor Angela Merkel, hailed as Europe’s most influential leader, made the stunning comment after three days of trans-Atlantic meetings that US President Donald Trump is not the reliable partner her country and the Continent can depend upon. 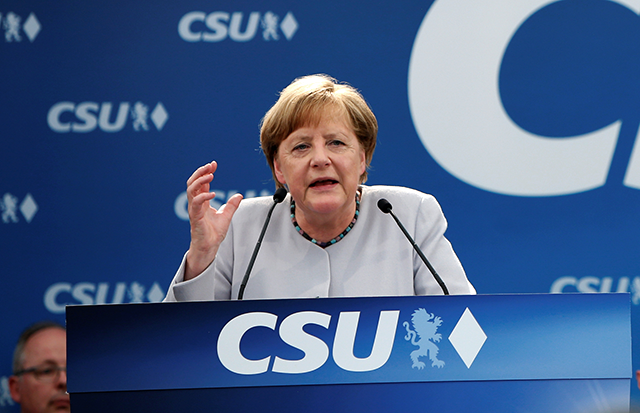 The May 28th Times article quotes Merkel’s as stating: “The times in which we could rely fully on others — they are somewhat over,” adding, “This is what I experienced in the last few days.” Merkel went on to state: “We have to know that we must fight for our future on our own, for our destiny as Europeans.” Her strong comments represented a potentially seismic shift in trans-Atlantic relations, as she has concluded without reservation that the US is now less willing to intervene overseas. The Times article explains that Merkel was personally disappointed that Trump declined to publicly endorse NATO’s doctrine of collective defense or to agree to common European positions on global trade, dealing with Russian aggression or mitigating the effects of climate change. 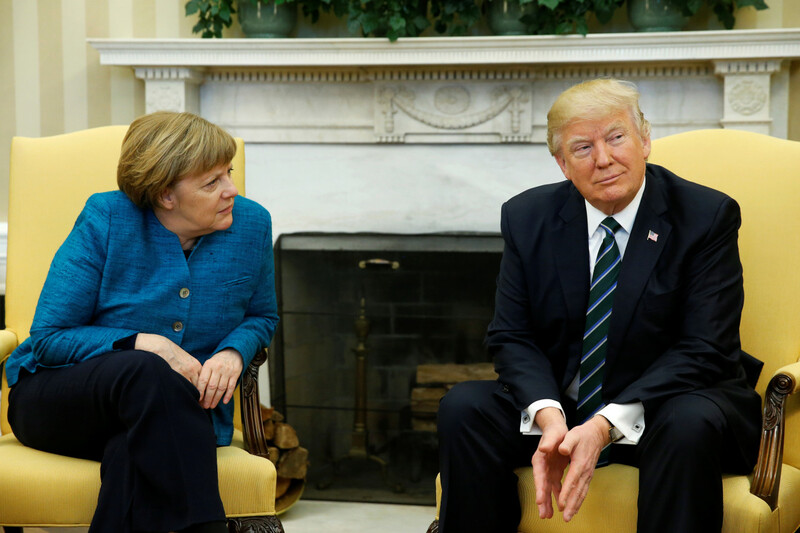 Supposedly, Merkel had been already somewhat unnerved as a result of her meetings in Washington with Trump March 17-18, 2017. Through her statements, which were made while on the campaign trail in Munich, Merkel seemingly called upon voters to get accustomed to Germany’s more active role in Europe and its greater involvement in crises on the Continent and global ones that can affect Europe’s future. Merkel is seeking a fourth term as Chancellor ahead of parliamentary elections in September 2017. The Times article elaborates that Trump campaigned on a platform of trade protectionism, nationalism and skepticism about multilateralism, and climate change, on which most European leaders disagree with him. The article also notes that Europeans rely upon NATO for their ultimate defense and are more concerned than Trump about an increasingly aggressive Russia. Merkel’s comments were truly an expression of angst. Her words would lead one to believe that the current period, rather than being of change, and reinvigoration, is languid and dissolute. Yet, as a result of her statement, she may have also stirred concerns in the capitals of other NATO countries over how they will defend themselves against their most likely opponent, Russia, and handle other matters, without the US. They perhaps lack her confidence on how things will proceed. There may even be some speculation over what information Merkel really has on Trump’s commitment to Europe, thereby billowing rumors and suspicion within the alliance. As the Trump administration is still relatively new, allowance could be made for caution among Merkel and her senior advisers. The advent of misunderstandings in bilateral and regional policy approaches is a recurring motif in burgeoning relations between two countries particularly when long-standing approaches to each other might change a bit and a new political leadership in one or both countries has taken power. 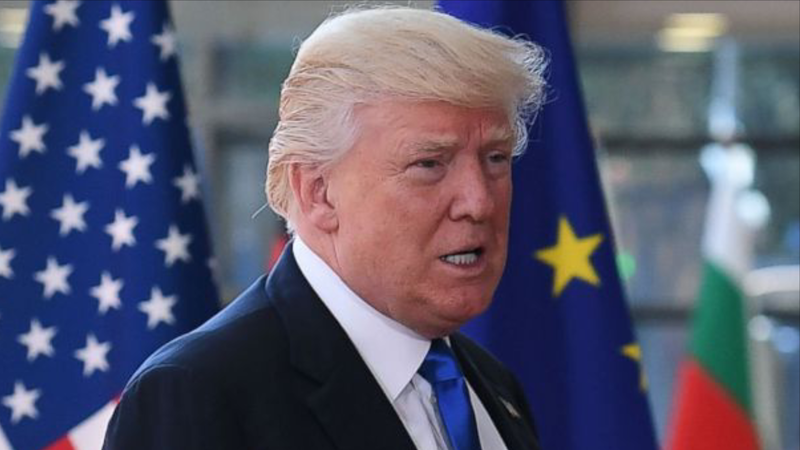 However, some of Trump’s officials travelled to Europe months before his visit and stressed that he is fully behind Europe, NATO and committed to Article 5, which requires all members to come to the defense of any country in the alliance that is attacked. Clearly, their efforts were not completely effective. Despite any doubts that have been expressed in Europe, when it comes to NATO and the trans-Atlantic relationship, any claims that the US can no longer be counted upon are fallacious. Reacting to Trump as she did in the end may not provide the satisfying experience Merkel wanted. She may have difficulty with Trump, but that does not mean other leaders might wish to work with him and might appreciate his efforts to rejuvenate NATO. Suggesting the US would no longer be part of the European security structure very likely ignited fears within some NATO countries just west of Russia’s border that interestingly enough form a type of buffer zone between Russia and Germany. They may not feel confident about making a new security arrangement under Berlin’s leadership. 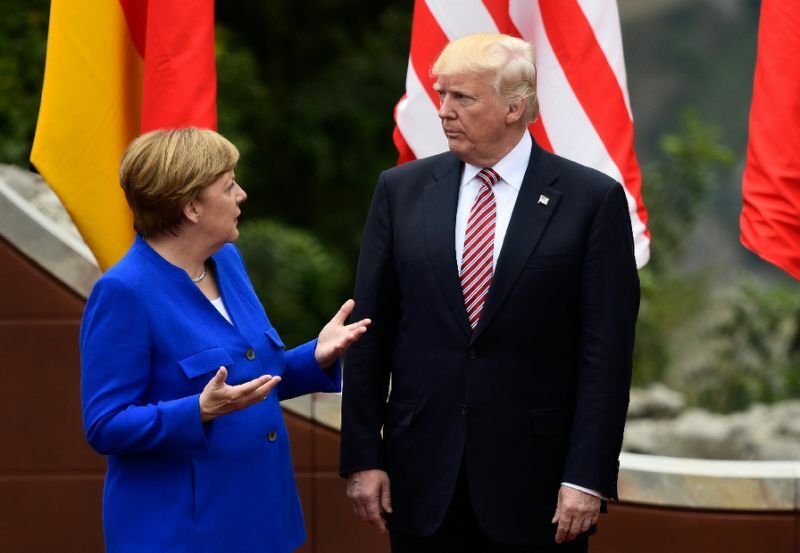 Certainly, Merkel’s words disappointed many in Washington, as no one there believes the situation between the US and Germany, NATO, or Europe is balanced on a knife’s edge. If Trump were asked whether he thought NATO was necessary, he would say it is. (Relatedly, 80% of the US public supports NATO.) However, if one were to ask him three additional times afterward, he would unlikely give an answer. That is Trump. When Trump offers criticism about NATO, his intent is to be constructive, not destructive; he is not at all signalling that his support for NATO has diminished. A main criticism is Trump’s belief that NATO allies have been “coddled” by the US for too long, leading leaders of some NATO countries to feel comfortable about repeatedly missing the agreed spending target of 2% GDP on defense. Progress was made on that matter by the administration of US President Barack Obama in 2016. That year, a majority of delinquent countries spent their required share. It may very well be that Trump, being cautious with NATO allies, is concerned that efforts by them to pay their fair share may have been a gesture of goodwill for the moment, and efforts might fall off. Ever the businessman, Trump is undoubtedly keeping a ledger on contributions by NATO allies, but he means well. If Trump were asked whether he thought NATO was necessary, he would say it is. However, if one were to ask him three additional times afterward, he would unlikely give an answer. That is Trump. Trump supports NATO, but he also believes the US has “coddled” it’s allies for too long, causing some to feel comfortable about missing the agreed spending target of 2% GDP on defense. In 2016, progress was made progress on the matter. Yet, Trump may be concerned efforts by allies to pay their fair share may have been a momentary gesture of goodwill and might fall off. Major ignotarum rerum est terror. (Apprehensions are greater in proportion as things are unknown.) In the midst of a political campaign, Merkel most likely wanted to be heard taking a strong pro-Europe stance and create the optics of being the Continent’s leader by speaking about Trump and the US in such a shocking way. However, promoting the idea that the US under Trump’s leadership is not committed to Europe was a mistake and could have dire consequences. For example, Berlin may be certain of how Germany might respond in terms of its security without the US, but other European countries may not feel as confident about creating a new security arrangement under Berlin’s leadership. Merkel may have difficulty with Trump, but they might wish to work with him and might appreciate his efforts to rejuvenate NATO and members participate fully in the collective defense of Europe with his brand of leadership. Suggesting that the US would no longer be part of the European security structure may very well have ignited fears within some European capitals over the immediate threat they feel from Russian Federation forces. NATO countries just west of Russia’s border form a de facto buffer zone between Russia and Germany. Completely unable to face a massive Russian military juggernaut alone, they want the help of the US. Leaders of those allies would not even consider risking their countries’ security over Merkel’s disappointment and disapproval of Trump. Fear is a powerful emotion. Once generated, it can lead to increased suspicion and even rampant paranoia among NATO allies over Russia’s slightest moves. In the worst case scenario, it could lead to some countries to seek bilateral arrangements with Russia to protect themselves. Hopefully, it will not lead to the militarization of any countries. Germany and those countries that might line up behind It, do not have the equivalent military power of the US and would be unable to respond to Russia. They would unlikely be able to jointly develop such a capability or be very willing to jointly finance it either. The Kremlin is well aware of this. Hopefully, Russian Federation President Vladimir Putin is not as certain that US support for Europe and NATO is as shaky as Merkel insists. What Is on Merkel’s Mind? There is the possibility that Merkel’s response to Trump is a manifestation of not only her disappointment, but an unconscious disapproval of him as well. Merkel apparently feels that her inability to get along with Trump, is due to some flaw in him. To her, Trump is at fault. When she met with Trump, Merkel sought a number of guarantees and held certain expectations for their discussion. Naturally, the goal would be to shape circumstances so they would best favor her positions and Germany’s interests. Merkel has a good reputation for being able to bring foreign leaders and political leaders in her own country to her position using a mix of both straight talk and congeniality. It is a reputation she can truly be proud of. When those guarantees were not received and those expectations were not met, it was likely very disappointing and somewhat hurtful to her. Merkel then rather quickly decided to publicly declare Trump was taking the US in a new direction away from Europe and NATO. With authority, and albeit some vengeance, she sounded the alarm that Europe must be prepared to find its way forward without the US. Other European leaders with a more positive assessment of Trump, or even undecided about him, would somehow need to reconcile with Merkel’s vehement statements. Pride, a sense of self-regard, of self-importance, can cause one to take counsel of the lesser angels of one’s nature. Pride can block the truth. An egocentricity stemming from pride can lead one to believe one is at the center of everyone’s cosmos. One can become bound up with oneself. Not to be impolitic, but one should not make choices using a confused ego. Although Merkel wanted to take a strong stance and create the optics of leadership, Germany and those countries that might line up behind It, do not have the military power of the US. At best, they would be unable do much successfully against a juggernaut of Russian Federation forces. Russia is well aware of that. Hopefully, Russian Federation President Vladimir Putin is not as certain that US support for Europe and NATO is as shaky as Merkel insists. The discussion of Merkel’s decisions and actions regarding Trump here relates well with scientific research on the desire of individuals to retaliate, to punish others’ bad behavior, no matter how mild, and even at personal cost. Research shows how such desires can skew decision making. Current theories suggest there are two dominant systems people use to understand and assess risk: the “analytic system” and the “experiential system.” The “analytic system” involves conscious and deliberate cognitive processes that employ various algorithms and normative rules to produce logical, reason-oriented, behavior. In contrast, the “experiential system” uses past experiences, emotion-related associations, and intuitions when making decisions. The experiential system relies more on unconscious rather than conscious processes. Images and associations, linked by experience to emotion and affect (a feeling that something is good or bad), are depended upon. The experiential system represents risk as a feeling that tells us whether it is safe to walk down this dark street or drink this strange-smelling water. The independence of cognition and emotion, and the conflict between rational and emotional reasoning is the subject of continuous debate. Paul Slovic, President of Decision Research and Professor of Psychology at the University of Oregon, suggests that these two systems must work in collaboration in order for the decision-maker to reach a rational decision. Most models of decision-making assume the process to be rational, which would exclude the possibility of emotion playing a role, other than of a hindrance. Other models take the valence-based approach and evaluate negative and positive effects on behavior, without specifying the emotion. This has led to a limited understanding of how specific emotions, especially those present in an individual in risky and uncertain situations, contribute to the decision-making process. Using scanning devices that measure the brain’s activity, scientists have gotten a glimpse at how the different parts of our brain collaborate and compete when we make decisions. Brian Knutson, a neuroscientist at Stanford University, used a functional magnetic resonance imaging (fMRI) to watch subjects’ brains as they reacted to the prospect of receiving money in the Ultimatum game, an economic game evaluating decision-making under ambiguous circumstances In this game, two players have the task of splitting a sum of money. The first player, the “proposer”, makes an offer of how to split the money. The second player, the “responder”, accepts or rejects the offer. If the responder accepts the offer, then the money is split in accordance with the proposal. However, if the “responder” rejects the offer, then neither one wins the game and neither one gets any money. The standard economic solution is that “some money is better than no money, so one should always accept the offer.” In reality, behavioral research has shown that low offers (20% of total) have a 50% chance of being rejected. Based on participant reports, they rejected low offers because of anger (negative emotion) felt due to the unfairness of the offer, and they wanted to punish the other player in some way. The unfair offers induced conflict between the cognitive motive to accept the offer and the emotional motive to reject the offer. When she met with Trump, Merkel sought a number of guarantees and held certain expectations for their discussion. Naturally, her goal was to shape circumstances so they would best favor her positions and Germany’s interests. When those guarantees were not received and those expectations were not met, it was likely very disappointing and somewhat hurtful to her. Merkel then rather quickly and surprisingly decided to publicly declare Trump was taking the US in a new direction away from Europe and NATO. Her move was not inn the best interests of the West. Alan Sanfey, a cognitive neuroscientist at the University of Arizona, and colleagues also used fMRI scans to look into people’s brains while they played the same Ultimatum game. Sanfey’s brain scans of people feeling vengeful in these games illustrate how (at least in part) a sense of moral disgust manifests in the brain. Indeed, Sanfey mapped what appeared to be a struggle between emotion and reason as each sought to influence the players’ decisions by tracking the activity of the anterior insula and the prefrontal cortex. As offers became increasingly unfair, the anterior insula, a part of the brain involved in negative emotions including anger and disgust, became more and more active, as if registering growing outrage. Meanwhile, an area of the prefrontal cortex involved in goal orientation–in the case, making money–was also busy assessing the situation. Sanfey’s brain scans indicated that when the disgusted anterior insula was more active than the rational goal-oriented prefrontal cortex—in a sense, when it was shouting louder—the players rejected the offer. When the prefrontal cortex dominated, the players took the money. Trump’s Secretary of State, Rex Tillerson, Secretary of Defense, James Mattis, and National Security Adviser, H. R. McMaster are undoubtedly dismayed by the expression of doubt by a close ally of the US commitment to European Security and the trans-Atlantic partnership. In only a few short months, they have made numerous statements expressing the administration’s commitment to NATO and commitment Article 5. 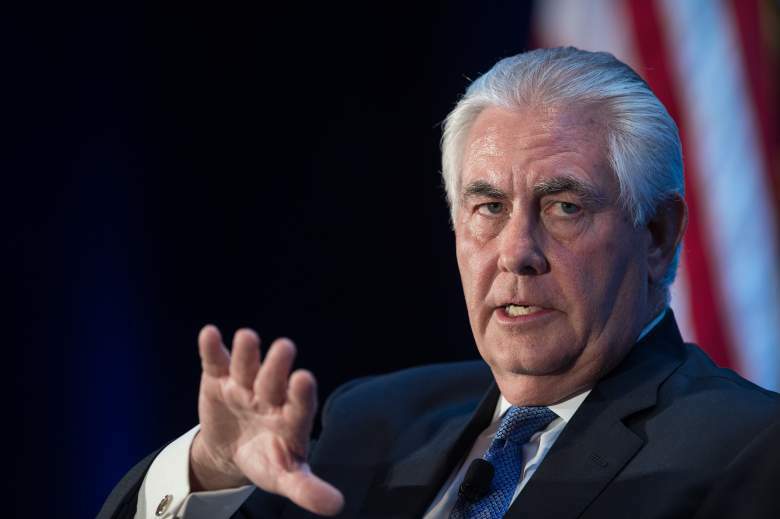 For the majority of their adult lives, Tillerson, Mattis, and McMaster have spent countless hours considering the status of Europe either militarily or economically. 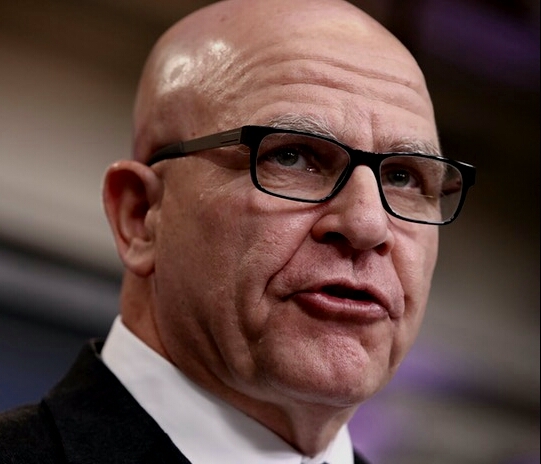 Mattis and McMaster were not only concerned with NATO but worked long and hard to develop ways, and rehearsed plans, to ensure its defense and deterrence of opponents. They have worked alongside NATO allies in it’s European security zone, Bosnia, Iraq, and Afghanistan. They are all aware of the occasional need for the hand holding of allies through tough issues. 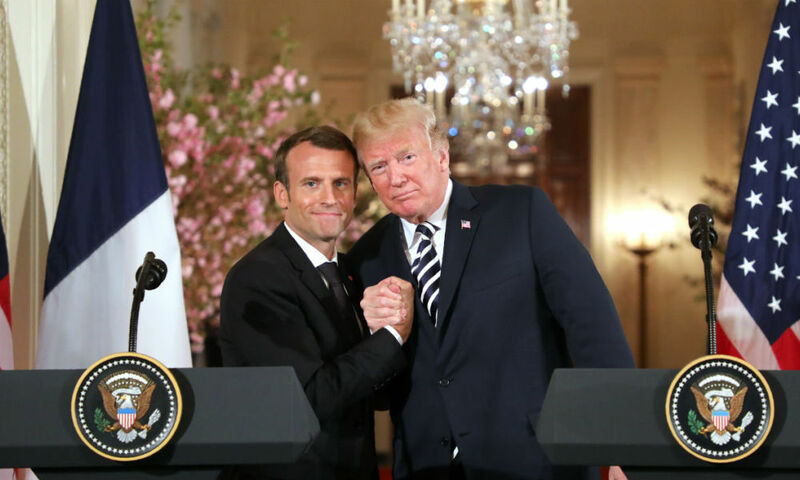 As life-long leaders, they could accept that bringing allied leaders to understand, despite to the contrary, that they can remain confident over the US commitment to NATO and Article 5 might require an amount of “hand-holding.” In doing so, it can be delicately said they have displayed compassionate empathy for their allies. Training, teaching, coaching, mentoring are skills they have honed to near perfection as business and military leaders. However, as life-long managers, they are also results oriented. After providing assurances of the US commitment to Europe repeatedly over a period of time, they too may become strained by the persistent voices of leaders of a few NATO countries who question it. One must quit drilling once oil has been struck. 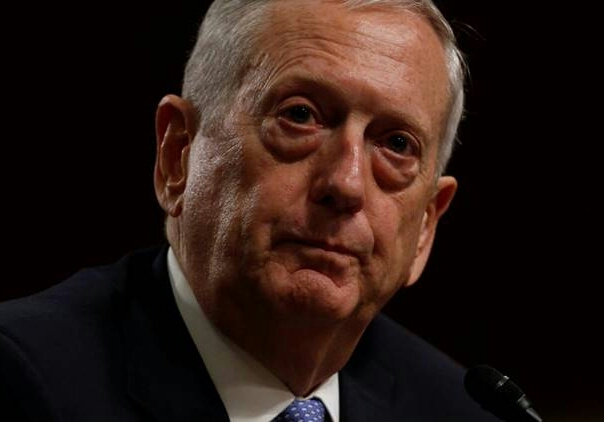 In a special May 28, 2017 CBS News broadcast of “Face the Nation”, US Sevretary of Defense James Mattis (above) was asked about Trump’s thoughts on the value of NATO, Mattis explained that in his initial job interview with the president, he brought up his questions about NATO. Mattis said his response was: “if we didn’t have NATO that he would want to create it because it’s a defense of our values, it’s a defense of democracy.” Mattis said Trump nominated him almost immediately after he spoke profoundly in support of NATO. 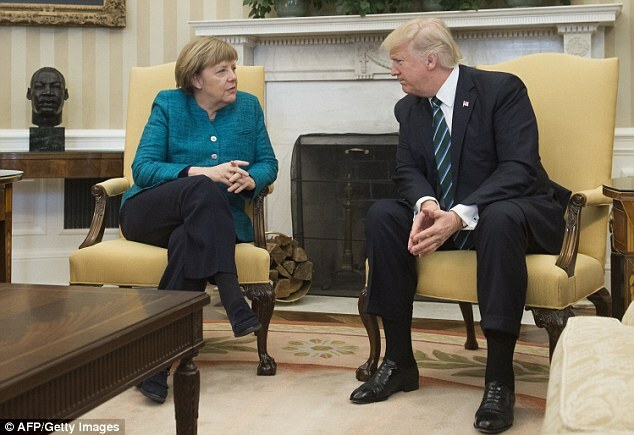 Certainly, it would have been superb if Trump and Merkel, during their first meeting, had agreed on everything, and relations between the US and Germany moved along swimmingly. However, that did not happen. Merkel must accept working with the circumstances she has and not the circumstances that she would like to have. On the path to improving ties, confidence and trust between the Trump administration and Europe must be established. That work will not require that the two countries start from scratch, but it will be a new beginning. It will be work akin to that in which a product develops over time, albeit not too much time. By adding a good dose of patience from European capitals, faith in the trans-Atlantic partnership, and friendship, success is practically assured. In his State of the Union Address, US President Barack Obama painted a picture of the US with a better standing in the world after seven years of his leadership. In 2016, Obama will make many speeches about his accomplishments to audiences at organized events. Yet, triumphalism does not equate to triumph. There is a continuous threat from terrorist groups. Countries such as Russia, Iran, and China remain in fierce competition with the US. 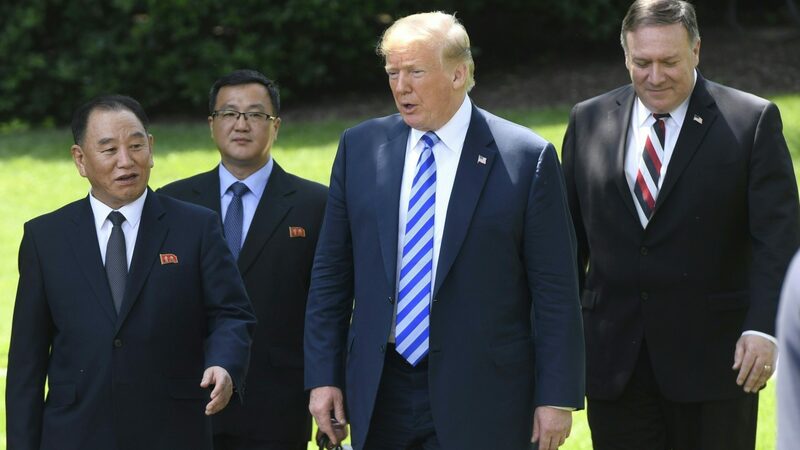 They may seek to establish a new dynamic in which the power and interests of their countries are enhanced and the power and interests of the US are weakened. In a January 12, 2016 New York Times article entitled, “Obama Confronts Americans’ Fears in State of the Union Speech,” it was reported US President Barack Obama painted a hopeful portrait of the nation after seven years of his leadership with a better standing in the world. Concerning foreign policy and national security, Obama defended his approach to taking on the Islamic State of Iraq and Greater Syria (ISIS) describing it as a dangerous threat to the US that must be dealt with but not an existential one, and not a force that warrants a commitment of US ground forces in Iraq and Syria. Obama highlighted his work in forging a nuclear deal with Iran, opening a new era of relations with Cuba, pressing for a global accord reached in Paris to combat climate change and efforts to stop the spread of Ebola. He also explained the US is uniquely positioned to rally other countries to solve global problems. Still, triumphalism, highlighting the administration’s perceived achievements on foreign policy, does not equate to triumph. Real success cannot be determined by levels of applause from fans. Doubts have been expressed even among Democrats over many of the administration’s foreign policy efforts. The forces of tyranny and darkness still hold a prominent place on the international stage. Whether signature efforts by the administration have created real change or will be sustainable remains uncertain. The renowned wit and retired late night US television talk show host, David Letterman, once joked, “every military operation has to have a name so people can get behind it and they now have a name for the war against ISIS: Operation Hillary’s Problem.” Whether Letterman engaged in a successful dalliance as a visionary regarding former US Secretary of State Hillary Clinton’s election as the next US president remains to be seen. Still, his main point was clear. The Obama administration has not successfully acted against ISIS and was seemingly passing on that problem, and other important ones, to the next US administration. However, sitting on issues in order to hand them over to a new administration is not a wise choice. In addition to the continuous threat of terrorism from ISIS, al-Qaeda, Hezbollah and other groups worldwide, countries such as Russia, Iran, and China while interacting with the US still remain in fierce competition with it strategically, ideologically. 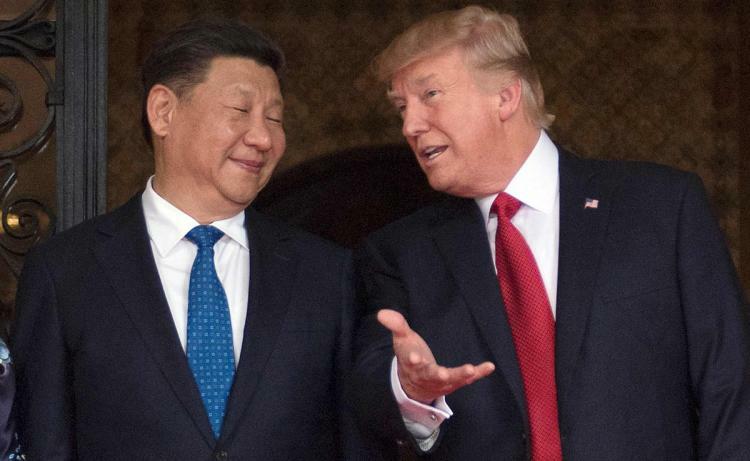 They may now hope to exploit perceived advantages and establish a new dynamic in which the power and interests of their countries are enhanced and the power and interests of the US are weakened. Approaches exist to prevent that from occurring or at least minimize any negative results. They may not allow the administration to declare triumph, but may allow it to honestly claim it left a satisfactory foreign policy legacy. During Obama’s campaign for the 2008 Presidential Election, he was recognized as a man of vision, a seeker, filled with smart words, no less than the breath of life. His speeches were indeed balanced, teeming with inspiration. In photos, videos and in his writings and speeches during that first presidential campaign and during the initial stages of his first term, it was clear that Obama was very passionate, a man seemingly haunted by his vision of an even brighter future for the US. Yet, having is not the same as wanting. As time passed, there were some successes, but there were also failures. Mistakes were also made, particularly in the area of foreign policy. They came to office believing the policy issues have been misunderstood and solutions are only temporarily hidden. In decision making, spirit and vision would be given primacy over vested interests, realism. That was the case of the US response toward countries in the Middle East during the Arab Spring and to the opposition movements in Ukraine. The administration’s foreign policy seemed driven by a self-neglectful virtue that would allegedly melt all physical and ideological boundaries with a charity that the US believes gives hope to those it perceives as helpless. The administration wished to become no less than an anathema to tyrants, pointing always to the hallmark of their oppressive regimes which is a lack of respect for the dignity of others. The administration would contest how those regimes would typically act upon citizens: not with constitutional authority, but with raw power. Yet, the Obama administration also in no way wanted to be associated with the policies of the previous administration of US President George W. Bush which was perceived as willing to lash out without delay at its adversaries. 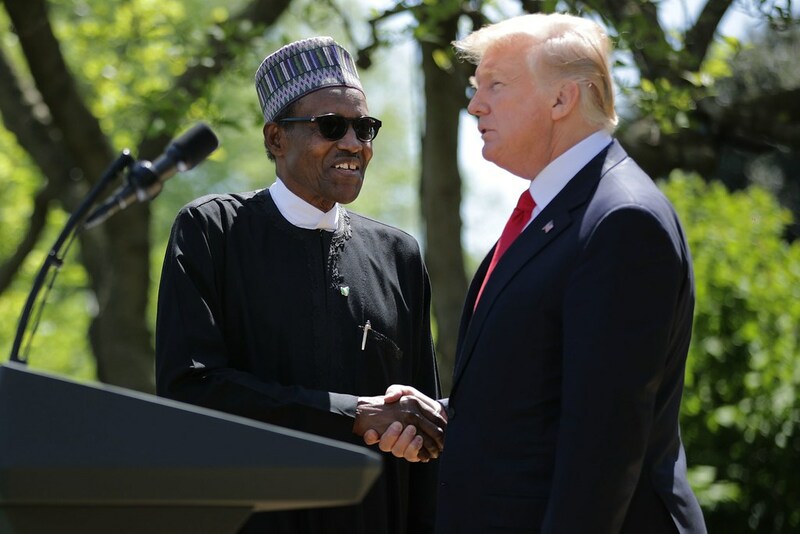 Instead of projecting authentic US strength globally, the administration proffered the idea that the US could rely upon multilateral solutions. That would allow it to minimize US intervention on the ground, but require joint action from allies and partners who were undertaking dramatic military cuts and were facing economic difficulties. Those countries were also very aware that warfare lately has been asymmetric, not set piece engagements to win quickly. No Western European country with real military capabilities would commit requisite or robust forces to take on risks globally, especially if its political leaders felt that the issue at hand did not fall within their interests. Countries possessing far less capabilities than the US in regions where there were urgent and important crises brewing, were also hesitant to act unless matters fell directly in their interests. Obama repeatedly presented his notion of multilateralism to a US public confused about the contrast between the certitude with which Obama spoke, and regular breakdowns in the administration’s foreign policy initiatives that were being implemented. When the administration thought efforts under this multilateral concept coalesced as an outcome of initial success in Libya, things soured resulting in multiple failures from the controversial loss of US diplomatic and military personnel to the development of struggle between competing factions and Islamic militants aligned with ISIS and Al-Qaeda. The Obama administration did not invent the US Government. 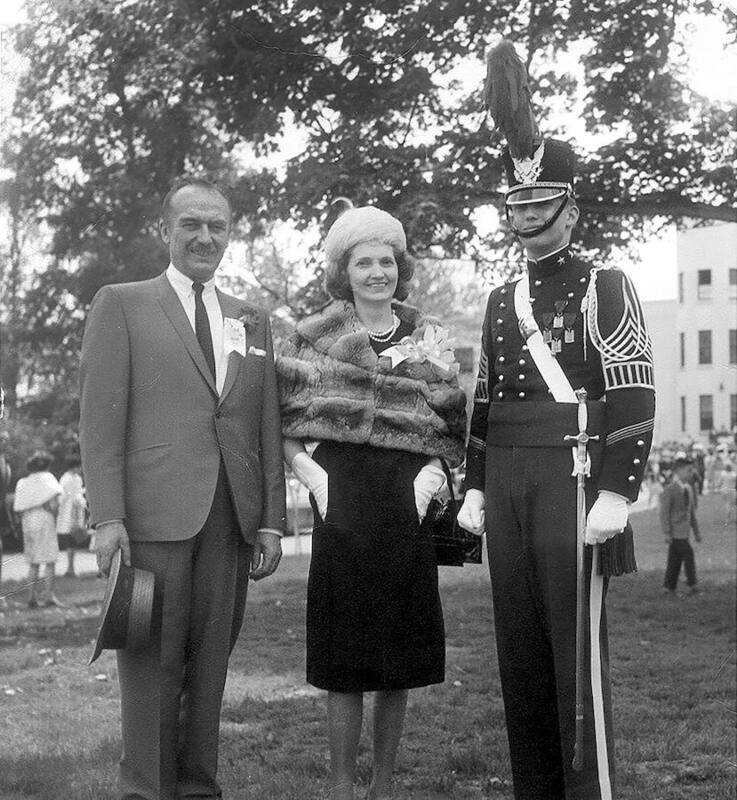 The government that the administration took control of has always been viewed as stable, solid, reassuring. It has been the source of so much hope not only of foreign capitals but individuals worldwide. Now, the image has grown of the US in retreat, perhaps wounded by its ventures in Iraq and Afghanistan. It is no longer seen by all as a champion of right but as a cold calculator. Its leaders know the price of everything but not the value of relationships the US once held close. Seeing the failed results of its approach, exasperated European leaders have not responded with mockery, sarcasm, or insolence; at least not publicly. Leaders of Germany and the United Kingdom have tried to give courage, to fortify the administration. Viciousness has done much harm in history. Still, the worst crimes, the worst disasters in history have been the work of the timid, the mediocre. For years, many will feel the Obama administration stood passively in the face of evil. As an authentic military superpower, the US has a clear upper hand over all of its likely opponents. Any assessment otherwise would not be genuine. The administration has been reluctant to use US military power. Adversaries, upon recognizing this, seemingly downplayed concerns over US capabilities to impose its will and simply considered how to impose their own will, regionally and globally. Soon their narrative exposed a defective perspective that the US lacked the ability to deliver a knockout blow. Subtly, opponents worked tirelessly on the US, enjoying the freedom to act in the world, knowing that beyond the diplomatic table, using economic weapons such as sanctions, and revoking membership in collective economic groups, little else would occur. Possible limitations on what could be done would only be set by the Obama administration’s time in office. It is already clear that the dynamic between the US and many countries has changed. It remains to be seen whether US opponents will attempt to administer some type of coup de grace in the administration’s final months, ensuring that it will not have a positive foreign policy legacy. The following are some possibilities, “stripped to the bone”. Above is a photo of a deep underground military base in Iran. The Obama administration hopes to be known for attempting to create better relations with long time foes such as Iran and Cuba. However, results of its efforts may very well prove that the administration was acting on a charming fantasy. It approached those countries unlike previous administrations. In Tehran, the Obama administration has no friend. Tehran would not hesitate to exploit the administration or betray it. Close contact with US negotiators for months allowed the Iranians a real chance to look into their thinking of US negotiators. The Iranians discerned they were witnessing the impact of the Obama administration’s “legacy quest.” White House officials and US political pundits spoke and wrote about US President Barack Obama’s desire to establish his legacy. US negotiators were pushing for a deal in order to claim an historic foreign policy success. So strong was the sense that the US might be willing to make risky concessions, that Zarif stated in the Iranian media, “There are indicators that John Kerry is inclined [to advance the nuclear matter in Iran’s interests].” The Iranians became more tenacious than ever in the talks. There was also a discernible change in Obama’s discussion of taking military action against Iran as the talks progressed. Threats vanished. The administration went as far as to say there was nothing effectively could be done militarily to halt Iran’s program. The narrative of the US changed. The Joint Comprehensive Plan of Action (JCPOA) was signed on July 14, 2015. With safeguards, the administration believes the framework agreement will cut down Iran’s breakout time capacity to the point that it would take at least 12 months to amass enough uranium enriched to weapons grade for one bomb. Enhanced international inspections and monitoring would be set up to help discourage Iran from violating the agreement. The hope is noncompliance by Iran at declared or potential undeclared sites would be detected through enhanced monitoring by the international community and promptly disrupted. The consequence of noncompliance would likely be limited to economic sanctions which may not be enough to restrain hardliners driven to build a weapon. The results of the administration’s efforts may prove that it was acting on a charming fantasy. Reportedly, Tehran took part of its nuclear program outside of Iran long before signing the Iran deal. One possibility, found in news reports unearthed by Christian Thiels of ARD German TV, is that Iran is working with North Korea to develop a weapon. Alleged evidence was their joint operation of nuclear complexes located at Deir al-Zor and Kibar in Syria. 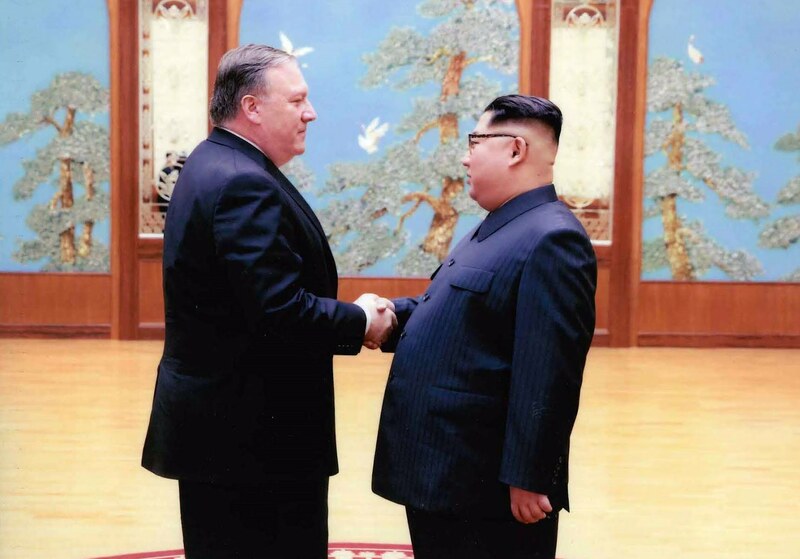 It is possible that the January 6, 2016 North Korean nuclear test may have been a cooperative test of Iranian warheads or a test of warheads made by North Korea for Iran. European governments and large European firms now seek to renew economic ties and develop business with Iran. As those linkages are established, the chance that the US could pull allies away from potential profits due to a “potential threat” a nuclear Iran might pose is lessened. The argument would be made that economic ties would serve to lessen hostilities between Iran and their countries. Threats to use force against Iran would have little meaning at that point as too many statements on why US military power should be withheld have already been made. At best, the Obama administration could increase sanctions on North Korea over nuclear weapons tests showing Pyongyang that it would be impractical to support any possible Iranian covert Iranian overseas nuclear program. It could also make it publicly known that the US is still developing greater capabilities to destroy deep underground military bases as those in Iran. If Iran is trying to cross the line or has crossed the line, at least the next administration would be better able to back diplomacy with force. ISIS on parade in Mosul. When the ISIS blitzkrieg in Iraq began in June 2014, the Obama administration’s response included pushing then Iraqi Prime Minister Nuri Kamal al-Maliki to establish a representative government, to include Sunnis and Kurds. As the Iraqi Security Forces were being routed by ISIS, Obama refused to give the Iraqis military aid unless they tried to bridge their divisions. Maliki stepped down. Haider al-Abadi took over with a mandate to create a government reflecting Iraq’s ethno-religious diversity and gain the trust of disaffected Sunnis so they would fight ISIS rather than support it. When the ISIS blitzkrieg in Iraq began on June 9, 2014, the response of the administration of the US President Barack Obama included pushing then Iraqi Prime Minister Nuri Kamal al-Maliki to establish a representative government, to include Sunnis and Kurds. It was designed as an effort to heal the rifts being exploited by the insurgents. ISIS was able to capture large parts of the country’s western and northern provinces during their offensive because Sunni residents threw their support to it after the Maliki government stopped paying the Sunni tribal fighters who had previously helped fight ISIS’s precursor, Al-Qaeda in Iraq. As the Iraqi Security Forces were being routed by ISIS, Obama insisted that no US military help would be provided unless Iraqis tried to bridge their divisions. US Secretary of State John Kerry tried to make headway with Maliki. After a protracted political crisis, the Iraqi Parliament voted to have Maliki step down. Haider al-Abadi took over with a mandate to create a government more representative of Iraq’s ethno-religious groups and gain the trust of Iraq’s disaffected Sunnis so they would fight ISIS rather than support it. His early performance encouraged US and Iraqi officials. In support of Abadi’s government, the US deployed 3,500 US troops to Iraq with the mission to help train and reorganize the highly fractured Iraqi Army. It had dwindled to nearly half its size from the 50 brigades it had when the US forces left in 2011. US military troops prepared the Iraqi Army for its fight to retake Ramadi. A fight to retake Mosul was being planned for 2016. Iran would hardly tolerate any loss of control or surrender its interests in Iraq due to the Obama administration’s actions. Knowing the representative government that the US sought for Iraq could not be easily created, Iran’s leaders likely assumed the US would not succeed. Tehran went ahead and expressed reserved support for Abadi. Yet, by late 2014, Abadi began to lean toward Iran and challenge the US regarding its level of support. Causality for his change in perspective was likely a combination of weariness from political infighting in Baghdad, the struggle to balance his ties to sectarian groups, pressure from his own Shi’a community, and Iran’s battlefield efforts. Abadi may have also questioned the Obama administration’s will to engage in long-term fight with ISIS. His rebellious attitude was evinced in a December 1, 2014 interview with the Lebanese-based Al-Mayadeen Television. Abadi reportedly stated, “While the United States was hesitant to help Iraqi armed forces amid security threats to Baghdad, Iran was swift to provide assistance to its crisis-torn Arab neighbor.” Iran has heavily committed itself to Iraq. With greater control over the Shi’a community and increased influence with the Kurds through its military efforts, Iran has placed itself in a better position to shape Iraq politically and economically. How Iran would ameliorate Iraq’s sectarian struggle is uncertain. To support Abadi’s government, the US deployed 3,500 US troops to Iraq to help train and reorganize the highly fractured Iraqi Army. Yet, by late 2014, Abadi began to lean toward Iran and challenge the US regarding its level of support. While the US was hesitant to help Iraqi Security Forces as ISIS marched toward Baghdad, Abadi observed that Iran was swift to provide assistance. Having established greater control over the Shi’a community and increased its influence with the Kurds through its military efforts, Iran is now in a better position to shape Iraq politically, economically, and perhaps socially, with effort. The Obama administration decided to provide the Syrian Opposition Movement its support in 2012 with the hope that Assad could be pressured to the negotiating table by Free Syrian Army advances and eventually agree to step down under a settlement. So far, Assad’s hold on the reins of power remains unaffected. Moreover, Syrian Opposition leaders discovered that taking on the Syrian Armed Forces and their allies is an enormous task. Now with Russia in the mix, they are well out of their depth. The Obama administration has implemented a failed policy against Assad’s regime. ISIS and Al-Qaeda linked Islamic militant groups in Syria have reached a considerable size and strength. The goals of ISIS and similar groups were never compatible with those of the Opposition. While mainstream Opposition forces were directed at creating the basis for a transition to a democratic style government in Damascus for all Syrians, ISIS and Al-Qaeda affiliated groups sought to create an Islamic State on Syrian territory. At one point, the Obama administration seemed willing to let the entire Syrian episode pass, while continuing a small, questionable assistance effort, projecting toughness through legal maneuvers, and allowing Assad to remain in power. Certainly, Assad is not immortal. It could have been surmised that the Assad regime, under great strain and facing endless warfare, would not survive in the long-run. It seems the Obama administration assumed Assad’s benefactors in Moscow and Tehran would grow fatigued with high-expenditures and losses without advancing their cause. US military action in Syria has been limited to airstrikes by a US-led anti-ISIS coalition. That tack left the door open for others to operate freely in Syria to impose their will. Since 2013, Iran’s IRGC-Quds Force has trained and equipped the National Defense Forces (organized shabiha or paramilitary units), and has fought alongside Hezbollah and Iraqi Shi’a militiamen. Moreover, Iran has since moved up the “ladder of escalation.” Syrian, Iranian, and Iranian sponsored troops have managed to coordinate and cooperate well on the battlefield. Some 2000 fighters from Hezbollah, sponsored by Iran, were also part of the main attack on Qusayr and took on the mop-up operations there. Syrian and Iranian troops took on rebels in Homs and other points in Homs province. Russia more recently intervened militarily in Syria, it has targeted leaders of ISIS—and other Islamic militant groups such as Al-Qaeda linked Jabhat al-Nusra—when identified. Since October 2015, command, control, and communications centers of ISIS have been struck, limiting ISIS’ ability to direct its fighters. Training centers have been destroyed. Fighting positions of ISIS in front of Russian allies have been degraded with close air support and heavy strikes by Russia. Presumably they will provide close air support for an offensive by their allies. US military action in Syria has primarily been airstrikes by a US-led anti-ISIS coalition. That has left the door open for other countries to impose their will on the ground. Since 2013, Iran’s IRGC-Quds Force has trained and equipped the National Defense Forces, and fight alongside Hezbollah and Iraqi Shi’a militiamen. Iran has since moved up the “ladder of escalation.” In Syria, Russia has targeted ISIS’ command, control, and communications centers. If Russia gets a handle on the situation there, the US might need to tolerate an Assad regime strongly influenced by Russia and Iran. New talks have been set up under UN Security Council Resolution 2254. However, long before factions of the Syrian Opposition might get their act together for the UN Talks, and before the first vote is cast in UN monitored elections, Russia and its allies may take steps to keep Assad in power. If Russia gets a handle on the situation there, despite UN Talks, the US may be given little choice but to tolerate an Assad regime strongly influenced by Russia and Iran. For the Syrian people, some trapped in the clutches of ISIS and knocked around in the middle of the war zone, others situated in giant refugee camps in neighboring states, or relocated as ex-patriots in Western and Arab states, a sustainable, secure peace in their country would be the best outcome. Putin may want to maintain an environment of confrontation for the US and EU leaders. He supports countries behind many of the foreign policy problems that the Obama administration faces. Enough speeches and statements heard from the Obama administration on why US military power should be withheld have been made to create doubt that the US would respond to Russian actions outside its borders. There was no easy way to repair the relationship. In our media conscious culture, timidity easily takes the form of affected joviality, hoping to diffuse tension by amiability, a hug or a slap on the back and then the dialogue can begin. Any political leader who thinks the way to diffuse the tension with Putin is to play the minstrel is only signaling insecurity. This was the case at a news conference between Obama and Putin in Northern Ireland in June 2013. When Obama tried a little levity stating, “We compared notes on President Putin’s expertise in judo and my declining skills in basketball and we both agreed that as you get older it takes more time to recover.” Instead of playing along, Putin retorted, “The president wants to relax me with his statement of age.” By 2014, Putin’s anger toward the US and EU worsened. Soon, there were regular incursions of Russian bombers and fighters in NATO airspace, Russian warships in NATO waters, and Russian claims made on the Arctic. Putin had already shown a willingness to intervene in the former Soviet republics. Examples include his actions in Georgia and Ukraine and his proposal for a “Eurasian Union”, an economic alliance that would include former Soviet Republics such as Belarus, Kazakhstan, Armenia, Moldova, Uzbekistan, and Tajikistan. By taking action in Syria, Putin showed he is also ready to secure Russia’s interests abroad. The leaders of Germany (despite some controversial energy sector matters) and the United Kingdom are not fans of Putin and have encouraged Obama to stand firm in his dealings with him. Yet, some other European allies fear facing greater problems from Putin. Coping with his abrasive side can be tough. Still, Putin has also shown considerable restraint in tough situations as the Turkish shoot-down of a Russian Federation fighter jet. What Obama could try to do is create a dialogue with Putin about opportunities missed, opportunities still on the table, and the need to establish better relations for the US and Russia, not just for Putin and Obama. Putin may want to maintain an environment of confrontation for the US and EU leaders. He supports countries behind many of the foreign policy problems that the Obama administration faces. Enough speeches and statements have been made by the Obama administration, on why US military power should be withheld, to create doubt that the US would respond to Russian actions outside its borders. Keeping all European allies unified and resolute could become more difficult as some may fear facing greater problems from him. 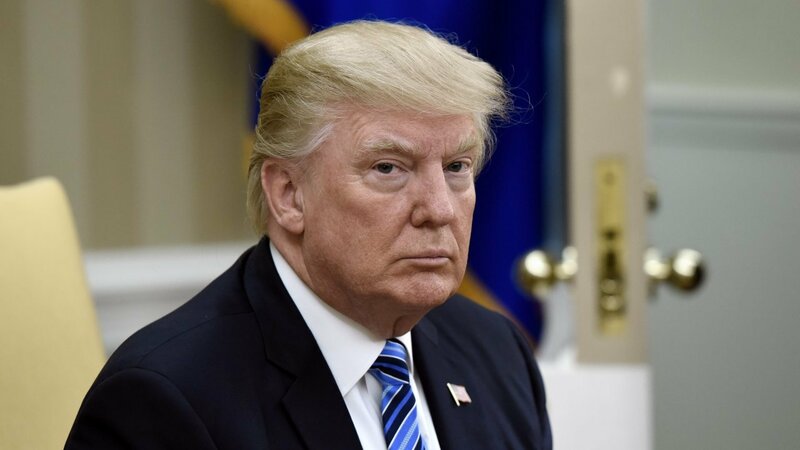 The administration will have diplomatic contact and telephone communications with Putin, but keeping a brave face on while coping with his aggressive side will be tough. Still, Putin has also shown considerable restraint in tough situations such as the Turkish shoot-down of a Russian Federation fighter jet. What Obama could do is create a dialogue with Putin about opportunities missed, opportunities still on the table, and the need to establish better relations for the US and Russia, not just for Putin and Obama. The more meetings the two can have in 2016, the better. That would be to the benefit of the people of both countries long-term. Gutta cavat lapidem [non vi sed saepe cadendo]. A water drop hollows a stone [not by force, but by falling often]. Graviore manent. (Heavier things remain.) Panegyrics for Obama and his administration have already begun to make their way into the media. Still, the specter remains of unresolved policy issues with the potential to worsen and become far more intractable. Arguments can be made that an environment in which such problems could grow was allowed to exist due to the delinquency of the administration. The result of such perceived inadequacies and failures could possibly be passed on to the next administration. A decision to simply sit on problems or contain them would be wrong and likely viewed as a pitfall of fear and resignation. There are approaches the Obama administration could take to defeat or defuse problems it may face from its adversaries. A few were presented here more boiled to the marrow than stripped to the bone as originally promised. Candidates for the presidency have expressed concern over the same issues in campaign speeches and during debates. Perhaps those who can do better will take office and actually do better during their time in office. It is impossible for deeds to be undone. The Obama administration has done what it wanted to do on foreign policy. When God gives his grace to us, he gives us what we do not deserve. When God gives his mercy to us, he does not give us what we deserve. The Obama administration may very well be able to ride out its final year reflecting publicly on things that are pleasing to remember. However, it is always best to act than react. Setting an agenda for action would be the best action to take. Obama, Putin Discuss Olympics Security in Call; Putin Has Got It Covered and He Will Keep His Promise to the Terrorists, Too! Putin is determined to host a “safe and secure” Olympic Games in Sochi. Russian security officials are using every tool at their disposal, leaving nothing to chance. According to a January 21, 2014, Reuters article entitled, “Obama, Putin Discuss Olympics Security in Call,” US President Barack Obama and Russian President Vladimir Putin talked over the telephone about how best to have a “safe and secure” 2014 Winter Olympic Games in Sochi, as well as efforts to contain the Iranian nuclear program and the situation in Syria. The article was based on a White House statement that gave few details about the telephone call. However, in presenting the state of mind in Washington regarding the Games, the Reuters article emphasized how US military and intelligence officials were spending a lot of time considering how the US could evacuate US citizens from the Sochi in case of a crisis. It mentioned that the US State Department has issued a warning to US citizens planning to attend the Games, insisting that they remain vigilant about their security due to potential terrorist attacks. Ostensibly, due to the threat of terrorism, Us officials are clearly view Sochi more in terms as a potential tragedy than as a premier sporting event. The threat to the Games that has caused US officials to express considerable concern in the media is an Islamic insurgency just over the Caucasus Mountains. The insurgency, organized into a loose alliance of rebel groups known as Imarat Kavkaz (Caucasus Emirate), has been simmering more than a decade after it drove separatists from power in the North Caucasus province of Chechnya during Putin’s first term. They seek to carve an Islamic state out known as the Chechen Republic of Ichkeria from a swath of southern Russia that includes Sochi. In a video posted online in July, their Chechen-born leader, Doku Umarov, called for “maximum force” to prevent Russia from staging the Sochi Games. The Associated Press reported in a January 19, 2014 article that the Islamic militant group Vilayat Dagestan claimed responsibility for two terrorist attacks in Volgograd in December 2013. The attacks in Volgograd came on top of a number of other terrorist enumerated by the Russian law enforcement officials in the North Caucasus Federal District and the Southern Federal District. Volgograd was also targeted in October 2013 when a suspected female suicide bomber killed six people on a bus. Fearing a similar martyrdom operation, police in Sochi very recently have handed out fliers at area hotels warning of another woman they believe could be a terrorist and who may currently be in the city. The flier asks workers to be on the lookout for Ruzanna “Salima” Ibragimova, described as the widow of a member of a militant group from the Caucasus region. The woman, according to the flier, may be involved in organizing “a terrorist act within the 2014 Olympic region.” Photos of Ibragimova have flooded television and social media reports from Sochi. She is being called a “black widow,” which are female terrorists from Chechen separatist groups. Many are wives of insurgents killed by Russian government forces. The black widows have reportedly carried out a number of high profile suicide bombings. As efforts to complete construction in Sochi before the Opening Ceremony on February 7th continue, comments by US officials have built-up concern globally on whether the Olympic Games will be safe enough to participate in and visit. Putin and Russian security officials likely have their own views on why US officials are adamant that attack will occur and Russia is not prepared, but they do not appear distracted by US criticism. Russia is implementing a security plan formulated months before the Games and integrated into the overall approach to Russia’s security. Russia has not been simply reacting to events. Coordination with other nations may not be ideal, but circumstances beyond Sochi perhaps best account for that. The threat of terrorism has become a concern in the planning of every major sporting event. In the US, the 1996 Summer Olympics in Atlanta were disrupted when two visitors were killed by a bomb set by a domestic terrorist. Counter-terrorism has been a key aspect of Russia’s national security policy for many years. Russian counter-terrorism and anti-terrorism efforts to defeat any terrorist threats directed at Sochi appear very sound; nothing appears to have been left to chance. In a January 19, 2014 press conference, Putin explained: “The job of the Olympics host is to ensure security of the participants in the Olympics and visitors. We will do whatever it takes.” Through it all, Putin also intends to keep the promise made to Russia in his New Year address in which he stated: “We will strongly and decisively continue the battle against terrorists until their total annihilation.” After the Olympics, it may be demonstrated that his considerable investment of resources to Sochi’s security greatly enhanced his ability to achieve that goal. To guarantee for the Russian people that the Games will be a proud occasion, Putin has had his government put in place what officials and experts described as the most intensive security apparatus in the history of the event. Russian law enforcement and other security services have promised to surround Sochi with a “ring of steel.” According to Mark Galeotti of NYU’s Center for Global Affairs, an expert on Russian security services, the security presence in Sochi was twice as large as that used during the 2012 Summer Olympics in London, even though London’s population is more than 20 times that of Sochi. As of this month, there have been reports that among the measures being taken for the Games, more than 5,500 video cameras will be in operation as part of the “Safe Sochi” policy. Of those, 309 will be manned by the Russian Federal Security Service (FSB). The FSB has also had an outlay for their Plastun scout robots. The devices are heavy with surveillance equipment: thermal imaging, cameras and devices that can detect a sniper’s scope. Drones will be deployed, including the FSB’s Gorisont-Air S100, which can be easily weaponized. The MVD has 421 Zala drones available. The System of Operative Investigative Measures system (SORM) will be used to monitor spectators and athletes alike. SORM-1 captures telephone and mobile phone telecommunications; SORM-2 intercepts Internet traffic; SORM-3 gathers information from all forms of communication and has a storage facility. FSB has control centers connected directly to operators’ computer servers. To monitor particular phone conversations or Internet communications, an FSB agent only has to enter a command into the control center located in the local FSB headquarters. This system is allegedly duplicated across Russia. In every Russian town, protected underground cables exist that connect the local FSB bureau with all Internet Service Providers and telecom providers in the region. Electronic systems with far greater capabilities, concealed from the public, may also have been deployed to protect Sochi. Those technical capabilities are only part of preparations. More than 50,000 security men will be on duty. Most likely some of them will be in plain clothes, mingling with visitors. There will likely be a greater security presence around certain teams and venues. The regular forces have been augmented by a large deployment of Cossacks, the traditional horseback warriors who once patrolled Russia’s frontier, serving more recently in a public safety role in southern Russia. Several hundred have moved into the Olympic Village, joining the police on foot patrols and at checkpoints in their traditional uniforms. Zones for population control will be established where bags, personal belongings, movements and credentials will be checked. All visitors will need a Spectator Pass which they will acquire upon registering in Sochi. Security officials of the US, EU, and other countries may want to assist the Russians beyond liaising with officials, to include providing personnel and technical resources. A contingent of Federal Bureau of Investigation (FBI) special agents and State Department security officials will be in Sochi to attend to the security of the American contingent. Yet, there was never real hope or that there would be significant cooperation between Russia and other countries on Sochi . The Russian security services have never been known for their transparency. Nearly everything they do is kept confidential and compartmentalized within the services as well. In an unusual move, in 2013, the FSB announced it was monitoring the movements of Russian nationals traveling to Syria. Other monitoring activities of the Russian security services were evinced when it was revealed by the Boston Globe that the Russians had warned the FBI about Tamerlan Tsarnaev, the older of the two ethnic Chechen brothers responsible for the terror bombing of the 2013 Boston Marathon, two years before the attack. In the interview presented on the ABCNews Sunday morning program, “This Week” on January 19th, Putin, responding in part to concerns made by US officials over security preparations, explained if foreign athletes wanted to provide their own additional security, “there is nothing wrong with that,” as long as they coordinated with the Russian authorities. Yet, it is somewhat disingenuous for US officials to discuss coordination between the US and Russian intelligence and law enforcement services, even for the Olympic Games, without recognizing the problems that exist in the relationship. There have been public displays of coordination on the Syrian chemical weapons removal, Geneva II talks between the regime of Syrian President Bashar al-Assad and the Syrian opposition coalition, the Iran nuclear talks. However, the relationship is best marked by: disagreement on the reduction of nuclear force levels; Putin’s decision to allow National Securty Agency whistleblower Edward Snowden to reside in Russia; Putin’s “thought provoking” letter to the US public, published in the New York Times Op-Ed section; ongoing espionage efforts between Russia and the US, including the activities of SVR officer Anna Chapman and other Russian “illegals” captured by the FBI in 2010, and the allegations of US spying on Russia revealed by Snowden and Wikileaks; and, most of all, the uncongenial personal relationship between Putin and Obama, resulting in the cancellation of last summer’s summit. Further, there has always been a certain degree of mutual distrust between the US and Russian intelligence services, stemming from their Cold War rivalry and balanced through a modus vivendi in the field. Sharing between organizations took a turn for the better after the terrorist attacks on September 11, 2001, but then fell back into difficulty. Threats to the US homeland were the cause for coordination between Russia and US services after September 11, 2001, but the security for the Sochi Games involves the protection of the Russian homeland. For the Russians, it is a matter of national interest and national pride. The Russians feel they have the best handle on the situation in the South Caucasus. Their understanding comes from years of hands on experience with the Islamic militant groups, uncovering complex networks of associated groups. They have created their own networks across their entire country, The Russians likely feel the understanding US or other nations’ security officials have on the security situation there is based on the abstract, gleaned from reports and studies. Bringing US security officials to an situational awareness equal to that of Russian officials, who understand Islamic militant groups in the region from the inside, would require the use of more resources and precious time. Efforts to support the Russians using technical means may exist, but it is likely some it duplicates Russian efforts already ongoing with the use of their own tools. More importantly, MVD and FSB authorities are very likely concerned that with so many, if not all, of their premium security assets being employed to protect the Games, US specal agents and case officers would be provided a unique opportunity to observe and collect data on the capabilities and effectiveness of the Russian security services. Defeating that possibility would mean covering the US security presence in or around any secure facilities with counterintelligence resources that are needed for the Sochi anti-terrorism effort. Russian authorities may sense that US officials expressing their concerns over security for the Games may be projecting the fears and anxieties raised during their own efforts to protect the US homeland from attacks in the post-September 11th environment. While Russian officials may not know or be able to intimate if or when an attack might be attempted at Sochi, they are neither uncertain, nor insecure about their ability to defeat anything that falls within their radar. That is the best they can hope for. From a more cynical Russian perspective, US concerns over security for the Games, especially among political officials, is that 2014 is an election year for the US Congress, and expressing concern over the Games servs to demonstrate a candidate’s willingness to protect US citizens and interests overseas. Additionally, the Russians security officials may feel the attempt is being made to goad them into exposing their security tactics, techniques, and procedures as a result of comments by US officials or pundits regarding Russian capabilities. Perhaps Putin could have attempted to eliminate the problem of terrorism from Islamic militant groups altogether by committing his security forces to large-scale operations a year or more before the Games. Contrary to statements made by US officials, all along, the Russians have been very sensitive to the fact that any large-scale, federal district wide, counter-terrorism operations weeks before the Games could have possibly spoil the spirit of the Olympics, and create the impression that Sochi is not safe to visit. At the end of the Games, however, it is very likely that elevated use of sophisticated technical means to monitor the movements and activities of individuals and groups will leave the Russian government with the best understanding ever of regional Islamic terrorist groups. It is possible that so much quality information will have been gathered and the security services situational awareness will be so enhanced that new, more effective operations against terrorist groups could be conducted by MVD, FSB, and possibly SVR special service groups. (Note: These units and their capabilities are discussed in the January 8, 2014 greatcharlie.com post.) Those operations might result in a decisive victory over the terrorist. The operations of the`special sevice groups could be augmented by the use of regular military ground and air assets. Their firepower could be directed to have a multiplier effect in the field. Retired US General Stanley McChrystal, former commander of the US Joint Special Operations Command, has offered hints on how to exploit situational awareness at a level which the Russians may have acquired while securing the Games. When striking at a terrorist group’s network, the goal is to paralyze its nervous system. Hitting it intermittently, or every other night, allow the opponent to become stronger, having become accustomed to resurrecting itself. However, McChrystal indicated that if you strike at enough targets simultaneously, taking down key leaders, the group will be thrown into chaos and confusion and have a difficult time “regenerating.” That will allow for decisive effects. Not to advise Imarat Kavkaz or Islamic militant groups in the Caucasus, but if they have a goal to create an Islamic state in Russia, nothing would do more to ensure that hope will never be realized than attacking the Games. An attack would be an international tragedy, a violation of the Russian people, and a personal affront to Putin. Along with international outrage and condemnation, Russian authorities would most likely implement the most ferocious plans formulated as a response. Assuredly, there would be endless capture and kill raids, and decisive military attacks against any strongholds established. It is somewhat likely that Putin, outraged, would also consider the physical displacement of specific parts of the community from which the militant groups emanate and situating them in a various secure areas in different parts of Russia until such time the threat of terrorism posed to the Russian people could be sorted out. Other nations and human rights groups might complain, but there would be little they could do to stop it. There is the possibility that concerns over security for the Olympic Games will be quelled only after it closes on February 27th without any incidents of violence. Interestingly, Islamic militant groups posed a threat to the Russian government long before the Games were scheduled. There may be legitimate concern behind much of the criticism. However, there may very well be a political purpose behind the timing of some of it. Perhaps the benefit of the generous investment of security resources on Sochi might be the creation of opportunities for Russian security officials to establish enduring security in the Caucasus. Those groups that may seek to disrupt or halt the Games through terrorism might want to consider that the Games reach a level of national and historical importance and psychic benefit for the Russian people that Putin’s response would be unprecedented. The purpose of any militant group cannot be served by eliciting Putin’s wrath. Sochi is the wrong place and the wrong time for the militant groups to act. Hopefully, from February 7th to February 23rd, peace, unity, and good sportsmanship will be the only things concerning the world at the Games.